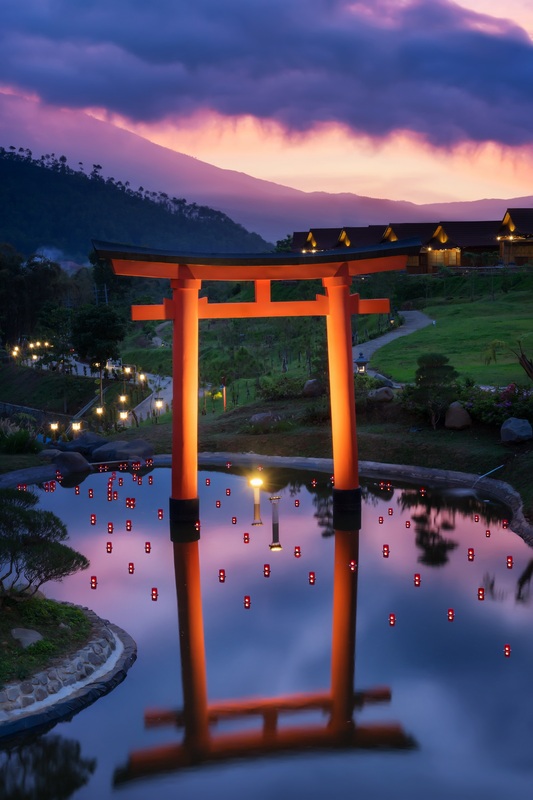 Upon your arrival at our location , you will be welcomed by our Japanese gate : ‘Torii’ , with cool mountainous background keeping you fresh, convenient and peaceful . You will feel as if you were in Japan, surrounded by a Red Bridge and a beautiful pond connecting you to Fushimi Restaurant . This makes your life more perfect in enjoying your beautiful and relaxing moment together with your family , relatives and friends.